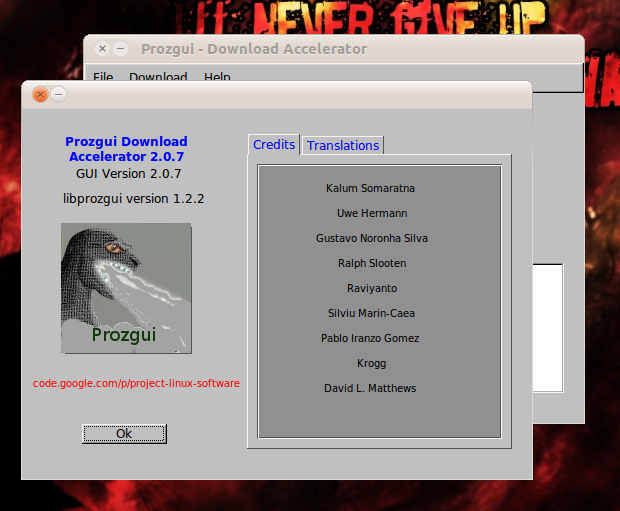 Recently, I wrote an article about ProZilla Download Accelerator that runs under command line interface. If you don't like that "geeky" stuff and want an application that has Graphical User Interface with similar function, you might want to try ProzGUI. ProzGUI uses "Tk" library, so it is definitely fast and lightweight. ProzGUI has its own configuration file, so you can install both ProZilla and ProzGUI without any conflict.